New – Flea Free Food Supplement-32OZ- | Medical Supplies and Equipment. 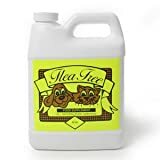 ng – Repels fleas ticks mosquitoes lice mites and biting flies – Safe and effective to use with dogs and cats Sizing: 16 oz. 32 oz. Add one teaspoon to pet’s food daily For the best results start by adding less than the daily dosage in order to gradually transition the supplement into your dog’s digestive system.